The X Zone 60 Degree Tube Weight allows the weight to slip through rocks and snags reducing hang-ups. Made with super sharp Mustad Ultrapoint Hooks. 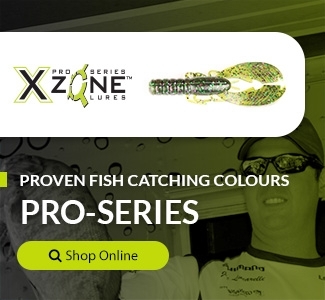 I like the X Zone Lures and the Slammer shape. The true hand pour lure is a nicer bait, much softer and there is good color variation throughout the plastic. My preference for this lure is to drag it on hop it on a football jig.